This past fall, Education Opens Doors finalized a partnership with the Boxer Bowtie Club, a New York based nonprofit, to partner for a black tie gala this spring. We jumped full time into planning this spring, and on May 6, the community came together for a successful evening sharing the story of Education Opens Doors with many new supporters at Trunk Club Dallas. The event kicked off at 6 PM with a VIP happy hour where Boxer Bowtie Club members and Education Opens Doors staff greeted key supporters. 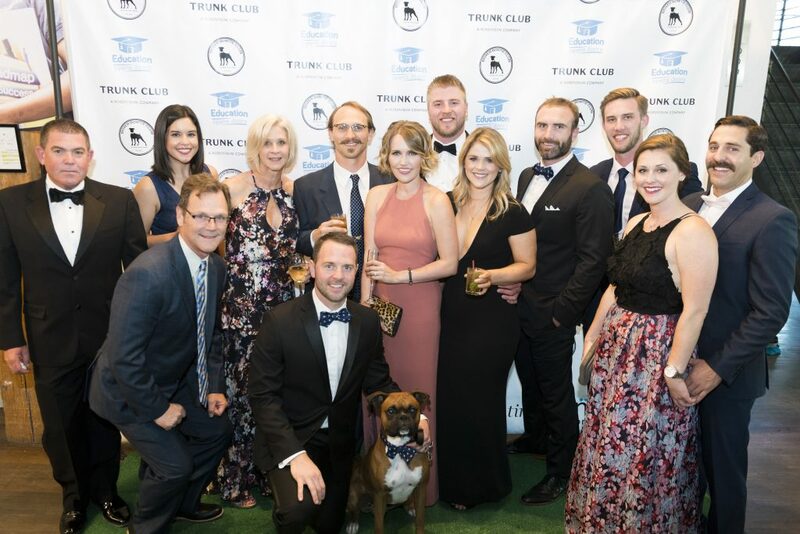 A steady flow of supporters streamed in, picking up a white, blue or grey wristband and taking full advantage of the photographers on site to get a snap with the Boxer Bowtie Club mascot, Helios, who was decked out in a boxer-themed bow tie for the evening! Guests had the chance to hear from a variety of speakers during a brief presentation at the gala. Kale Butcher from Boxer Bowtie Club shared about the history of Boxer Bowtie Club, a New York nonprofit that has hosted fundraisers for the past two years in New York City to benefit a local NY nonprofit. Kale also spoke about why Boxer Bowtie Club selected Education Opens Doors as their Dallas beneficiary. Education Opens Doors Founding Executive Director Jayda Batchelder used the color-coded wristbands that guests were wearing to share some key statistics about college attainment and articulate the need for the Roadmap to Success. Nationally, 95 percent of middle school students aspire to attend college, but only 8 percent attain a bachelor’s degree. By putting our guests into our students’ shoes, that statistic was brought to life. We were lucky to be joined by a Roadmap to Success teacher, Jashida Rather from D.A. Hulcy STEAM Middle School, who shared about how she has seen changes in her students as they learn the tangible steps that they can take to make college a reality. One of the biggest highlights of the evening was hearing Bianca, one of our 6th grade Roadmap to Success students, share how our program has given her hope and equipped her with the tools she needs to plan for her future. After just one year in our program, she is already taking the right steps to achieve her dream to attend MIT and become an engineer. Bianca is one of thousands with a similar story as a result of Education Opens Doors’ impact in the Dallas community. 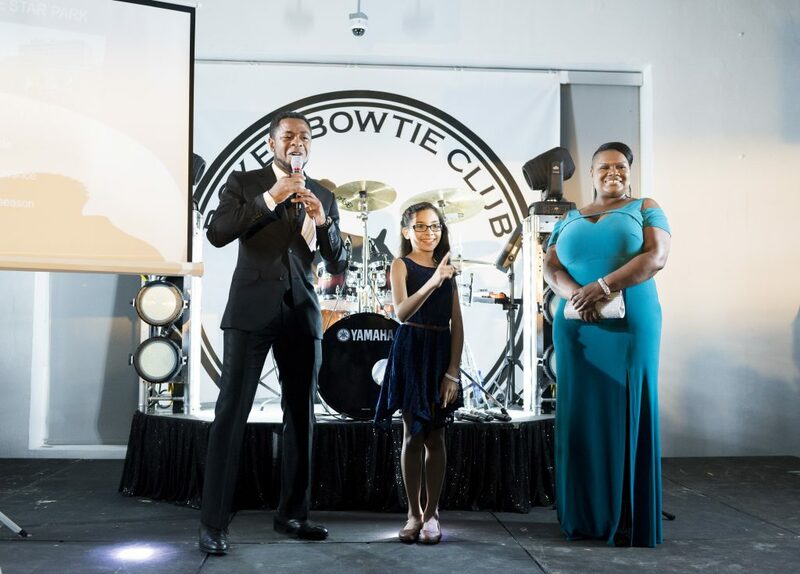 “Hearing Bianca speak about the importance of extracurriculars, understanding how to calculate her GPA, the steps to get into the right high school, and how to study for the SAT was a testament to the vital tools Education Opens Doors provides to thousands of students in the Dallas community, and why we are honored to partner with them,” said Boxer Bowtie Club member Kale Butcher. 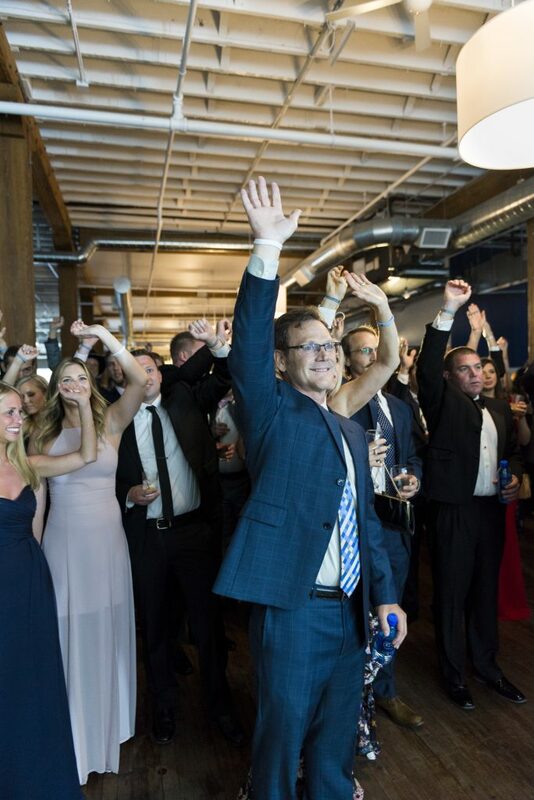 Through the silent auction, live auction, ticket sales and donations, we were able to raise almost $70,000 which will enable us to serve 400 students next year in the Roadmap to Success program. We are honored to have been able to partner with Boxer Bowtie Club to not only raise money, but to share our story with so many new people who can continue to shine the light on the importance of the work Education Opens Doors is doing! We hope you will join us next year as we continue the tradition! Special thanks to the Boxer Bowtie Club, emcee Byron Sanders, and the many sponsors and silent auction donors who made this night possible! Photography courtesy Pace Photography. See all the photos from the evening here!